Why will iPhone X be 40 per cent more expensive in India than in the US? However, this renewed interest has not reflected in the pricing of Apple's latest devices. Last year, the company sold the iPhone 7 in India at a price tag 40 per cent higher than the US and this year is no different with the iPhone X. 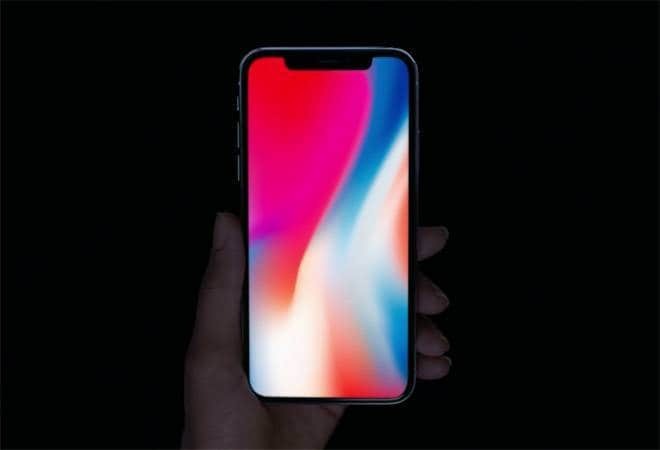 The Indian market will be one of the first to get their hands on Apple's latest and greatest, iPhone X. This only proves Apple's interest in the growing market. However, this renewed interest has not reflected in the pricing of Apple's latest devices. Last year, the company sold the iPhone 7 in India at a price tag 40 per cent higher than the US and this year is no different with the iPhone X. The setting up of assembly lines hasn't helped either. The Indian factories being set-up under Make in India are not capable of producing the latest Apple smartphones. The company has claimed that it will only churn out phones like iPhone SE from these assembly lines. Apple launched the iPhone X in US at a price of $999 for the 64GB variant and the 256 GB for $1,149. However, in India, the selling price of the iPhone X will be Rs 89,000 for the 64GB model which translates to around $1,388. The 256GB iPhone X is priced at a staggering Rs 1,02,000 which comes out to be $1,521. What is the reason behind the spike in prices? Last year, we reported that the iPhone 7 was priced 40 per cent higher than the US market. And despite two visits from Apple's CEO Tim Cook earlier this year and the setting up of manufacturing units, there's not much change in the pricing of iPhones. According to import, export data from Zauba, Apple paid 11.43 per cent in custom duty taxes last year for the iPhone 7 Plus which is similar to the iPhone 6s that was launched a year before that. Post GST, the taxes on smartphones did receive a minor relaxation (from 13.5 per cent to 12 per cent) but this hardly reduced the overall prices of devices imported in the country. The Indian government has chosen only to subsume Countervailing Duty(CVD) and Special Additional Duty (SAD) under GST. Basic Customs Duty, however, will continue to add to the import bills of the product. The taxes are calculated over the total amount of the product (includes shipping and handling charges). Other than that, the accessories that come with the device are taxed separately and at a rate of around 28.85 per cent which is nearly double of what the company needs to pay for the smartphone. Now coming to the retail bit, the next big cut goes to third party retailers. Apple cannot avail FDI in single brand retail without the consent of the government and without fulfilling certain conditions. Proposals that involve FDI beyond 51 per cent in single brand retail need to source 30 per cent of the value of the goods from India, preferably through MSMEs. Recent reports suggest that the government is mulling over allowing 100 per cent foreign investment with the current conditions but without any need of special consent from the government. However, there is no such provision as yet. With all these terms and conditions, manufacturers like Apple end up increasing the final price of the product to maintain the profit margins. Even currency plays a big role in these prices. Since Indian Rupee is relatively weak in comparison to USD the company needs to keep a higher margin of profit just in case our currency weakens further. In a year's period, Indian Rupee has seen a swing from Rs 68.78 per dollar in December last year to Rs 64.44 per dollar in August this year. Apple is definitely looking forward to cater to its Indian audience but given the extremely high price of the iPhone X, the company might not be able to sell as many units as last year. To add to that, analysts believe that there will be an acute shortage of iPhone Xs due to shortage of spare parts. However, the American company launched two lower priced iPhones iPhone 8 and iPhone 8 Plus which will be a better fit for the overall Indian market. Both phones carry the same A11 Bionic chipset as well as a much improved camera module.